A shallow earthquake with a preliminary magnitude of 6.8 struck off the coast of Costa Rica on Sunday night, the US Geological Survey (USGS) said. 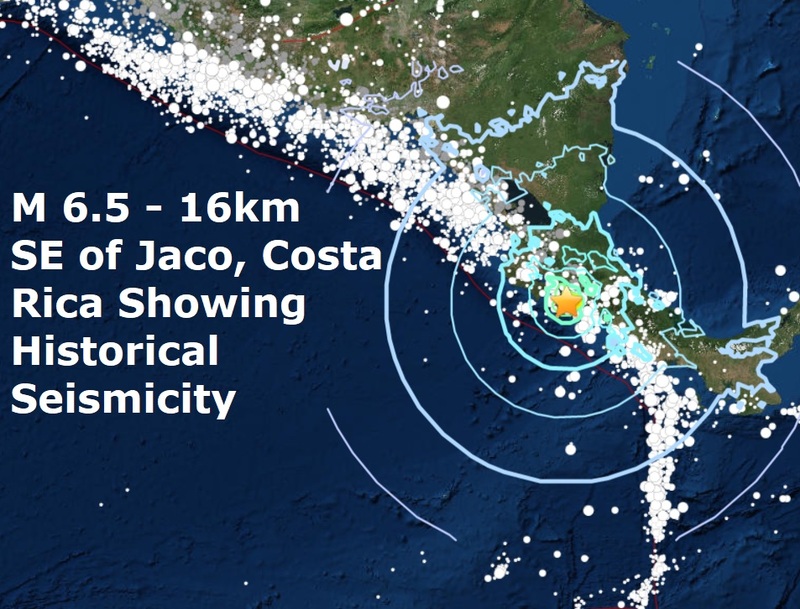 The quake was centred 16 km west of Parrita, Costa Rica, at a depth of 10 km, according to the USGS. It was the 2nd major quake of the night after the devastating magnitude 7.3, one of the biggest of the year, on the Iraq Iranian border. The Costa Rica earthquake was the 9th major quake of November and is the 95th major quake of a very quiet 2017 as this year promises to be the lowest total of major quakes this century. 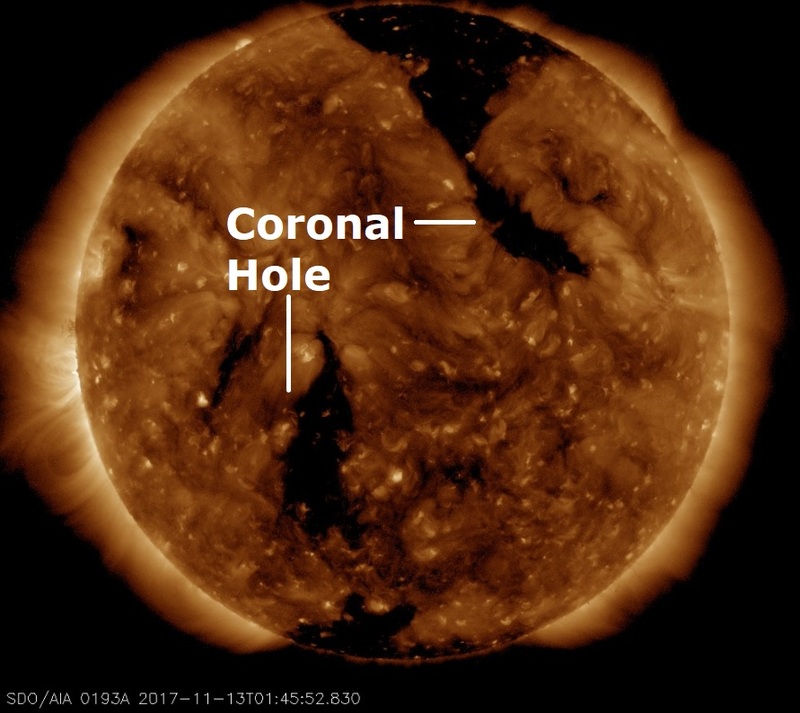 The two major quakes came last night as another large coronal hole opened up on our Sun. This a coronal hole-a region where the sun's magnetic field peels back and allows solar wind to escape. An emerging stream of gaseous material is expected to reach Earth on Nov. 14th or 15th.